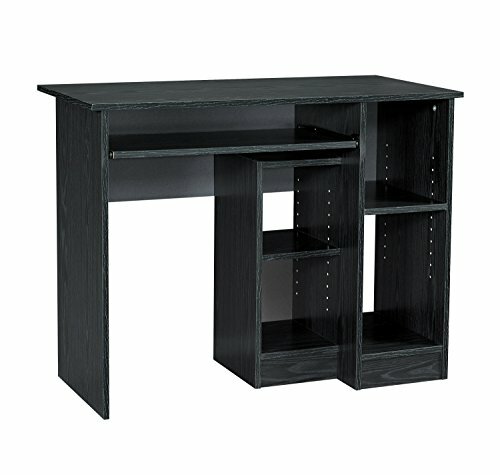 The easily assembled Mylex Computer Desk provides enough storage for your computer and computer accessories to help keep your workspace organized and stress free. Equipped with a CPU storage compartment and 3 shelving spaces, there is more than enough room to store your CDs, DVDs, and any binders and documents that you need within arms reach. Black finish. Practical. Stylish. Spacious. Mylex has something for everyone. If you have any questions about this product by Mylex, contact us by completing and submitting the form below. If you are looking for a specif part number, please include it with your message.